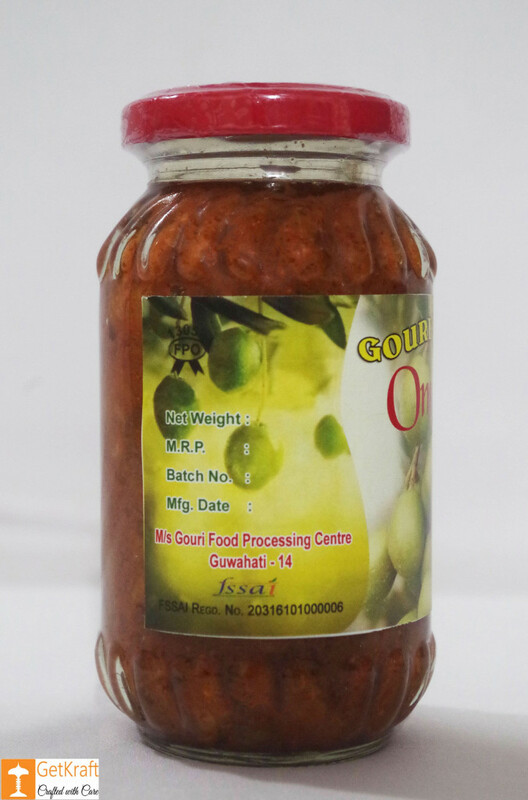 This Pickle has been manufactured from Authentic Hog Plums or Omora from Assam. 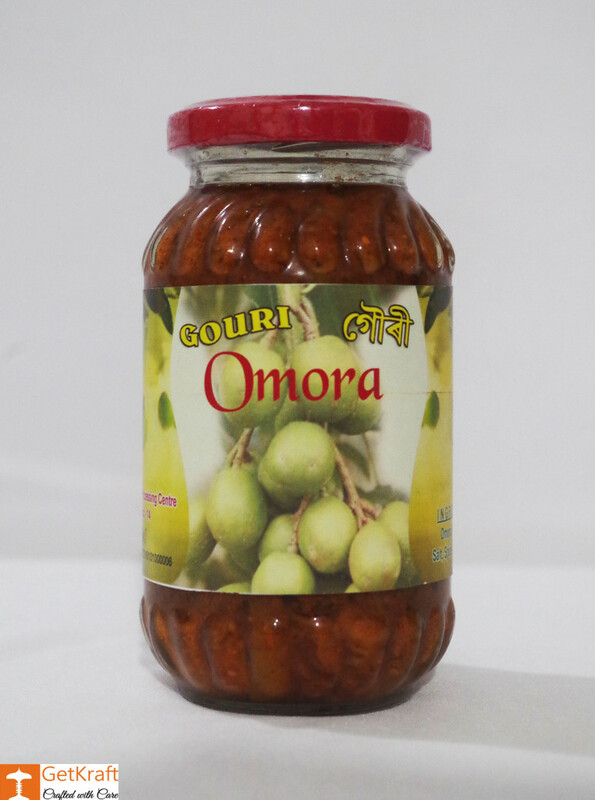 Made from Delicious and Juicy Hog Plums and has a Mouth Watering Aroma. Have it with rice, roti or paranthas for that Extra flavour and Taste to add to Dull Meals. 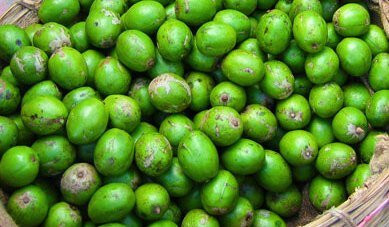 The Indian Hog Plum(Omora) is Rich in Vitamin C and is Good for the Heart. It acts a Natural Anti-Oxidant. This Fruit is Rich in Iron. 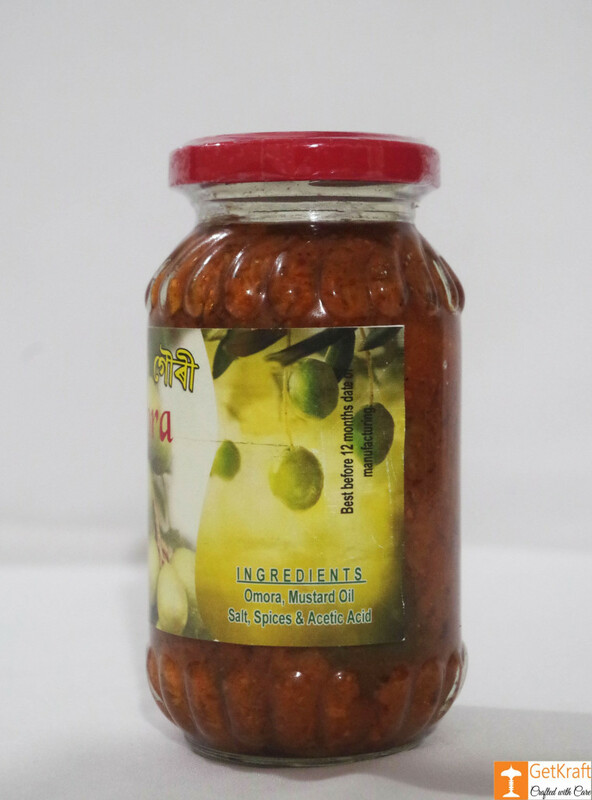 Ingredients: Omora, Salt, Mustard Oil, Spices and Acetic Acid.